Astronauts at the International Space Station are spending more time away from Earth, but they still need their daily serving of vegetables. 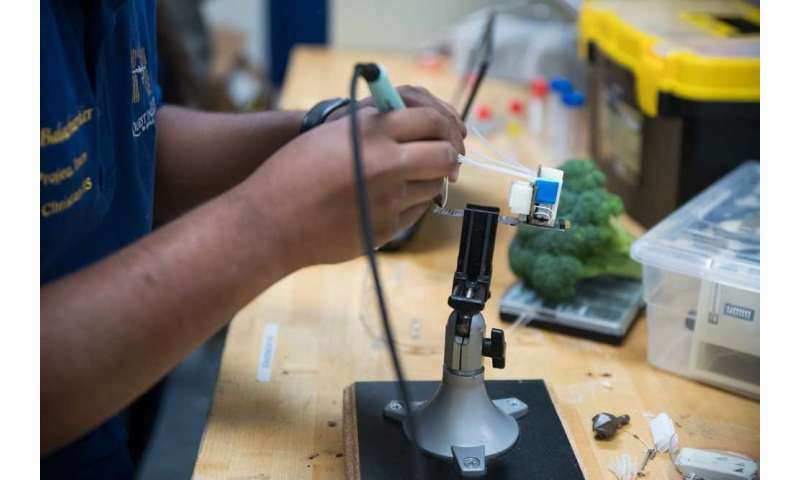 In the quest to find a viable way for crew to grow their own veggies while orbiting—and possibly one day on the moon or Mars—student researchers are sending broccoli seeds coated with a healthy dose of probiotics to space. Six broccoli seeds were aboard the Orbital ATK Cygnus spacecraft that launched this week from Wallops Island, Virginia, as part of a space station cargo resupply mission. Three of the seeds are traveling to space as is, while the other three were coated with two different species of bacteria, developed at the University of Washington, that can live inside crop plants and improve their growth. These "beneficial" microbes, also called endophytes, may also help plants grow better in extreme low-gravity environments, and where nutrients or water could be lacking. 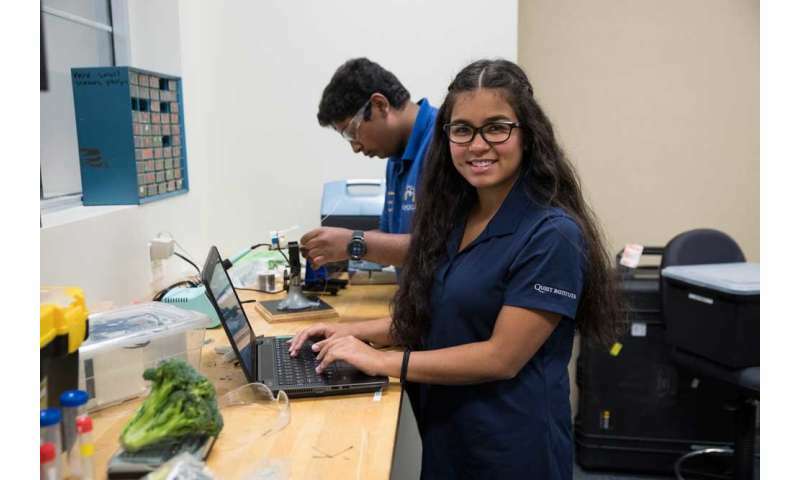 The goal of the experiment, conducted by students at Valley Christian High School in San Jose, California, is to learn how to grow vegetables in the challenging, microgravity conditions of the space station—and eventually on the moon and Mars—as human space exploration expands. Developed by a team of 11 students, the initial ground experiments proved successful, as the broccoli grew faster and significantly larger than the control study. "It would be ideal if we could grow crops for astronauts at the space station or who are lunar- or Mars-based without needing to ship potting mix or fertilizer," said Sharon Doty, a UW professor in the School of Environmental and Forest Sciences and a plant microbiologist who isolated and characterized the microbes used in this experiment. "We would like to be able to get plants to grow in what is available with a minimum input." The students are participating in Quest Institute for Quality Education's "Quest for Space" program and are mentored by David Bubenheim of NASA-Ames Research Center's Biospheric Science Branch and John Freeman of Intrinsyx Technologies. The experiment was prepped in a flight laboratory located at NASA-Ames Research Center in California. Freeman has test-grown many plants aboard the International Space Station, and also has used these same microbes to enhance the growth of crop plants such as tomatoes, lettuce, soybeans, wheat, corn and broccoli. Freeman has found that the plants thrive, even when given less water and essential nutrients like nitrogen and phosphorus. His work also confirms a 2016 study in which Doty and co-authors found that plants can better tolerate drought and other environmental stressors with the help of natural microbes that provide nutrients to their plant partners. These specific endophytes and broccoli plants were chosen for the space flight experiment because they performed well together in greenhouse tests under growing conditions similar to Mars, where nitrogen and phosphorus are limited, Freeman said. While a number of different vegetable growing experiments have been conducted aboard the International Space Station, this is the first that studies natural microbes to possibly help plants grow under nutrient limitations and in microgravity, he said. "In space, plants are very stressed and don't grow or reproduce well," Freeman explained. "We want plants to grow better. We are trying broccoli because it's considered an anti-carcinogenic food source that is a good dietary candidate for deep-space explorers." The microbes are first encapsulated inside a coating that covers the broccoli seeds, which protects the seeds from dehydration and allows for safe dry storage before the seeds are hydrated and grown in orbit. When the endophyte-coated broccoli seeds reach the space station, they will be hydrated in a small plant-growth chamber that provides constant light to promote photosynthesis. Cameras will take images of the seedlings at regular intervals, which will help the high school researchers and their mentors track overall seedling growth. After the plants return from space, the students will measure their growth and chlorophyll content and compare the inoculated broccoli to those that were grown without microbes. Separately, Doty and her team will receive plant samples to investigate how well the two microbe species colonized the broccoli in space, and whether they were as effective as when grown on Earth. "We want to know whether the microbes still find their way inside the plant even in microgravity, and if any of the required plant signals are terrestrial-based," Doty said. "We need to test if they are still functioning the way we would expect when growing in a different environment like microgravity." 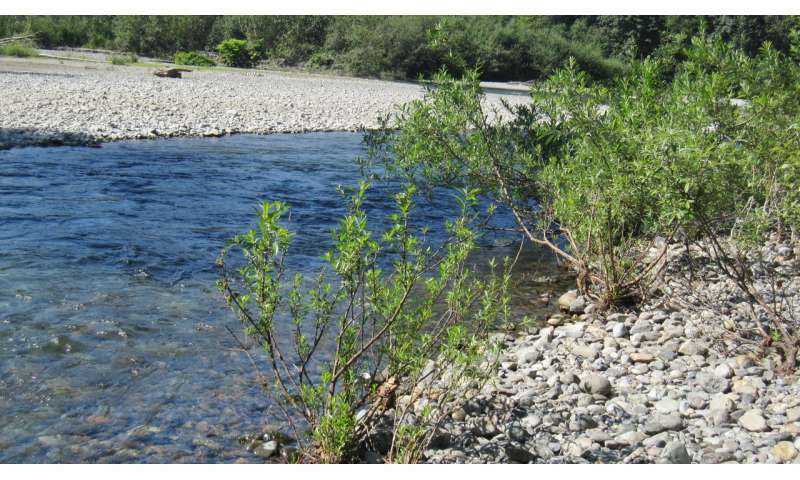 Doty and her UW team isolated the microbes used in this experiment more than a decade ago from wild willow plants growing on nutrient-deficient land among the rocks and sand along the Snoqualmie River. 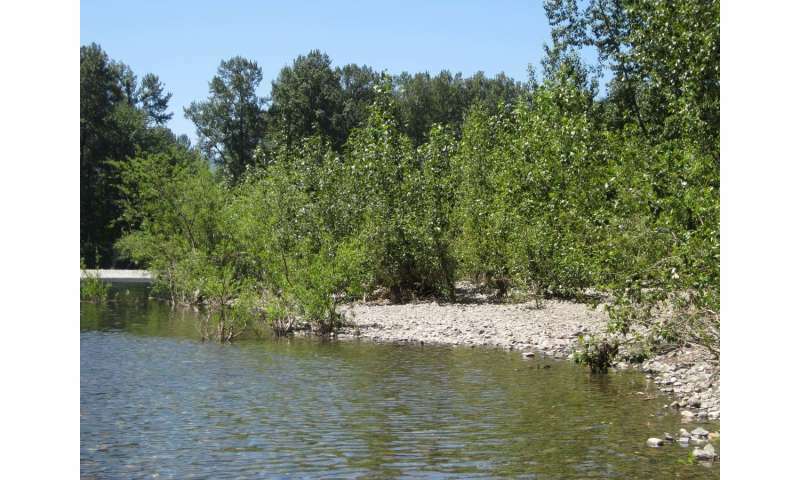 The plants had already selected the best microbes to help them grow in harsh conditions, so the researchers tapped into these key microbial strains and used them to help crop plants, grasses and trees grow in difficult environments. These microbes can benefit plants of all kinds, helping them convert nitrogen from the air into essential nutrients for the plant and reduce the need for synthetic fertilizer, in the case of crop plants like broccoli. In separate projects, Doty and her lab, along with Bubenheim and Freeman, are starting to test whether plants given natural willow and poplar microbes can grow in conditions that exist on the moon and on Mars. They use regolith simulant—ground-up rocky material with no organic matter—that mimics extraterrestrial conditions in both locations to see whether microbes can help plants grow in otherwise harsh conditions. The work is also part of the UW Astrobiology Program, which was the first university program of its kind when it launched 20 years ago. "This is the first step in what I hope becomes a really long-term research program to develop habitation on Mars and on the moon in a very efficient way using natural symbiosis instead of trying to bring chemical fertilizer to those environments," Doty said. Aside from the premature presumptuous assumptions? These series of experiments are an important preliminary to for discovering whether or no biology can thrive beyond the mesosphere in low/zero gravity.